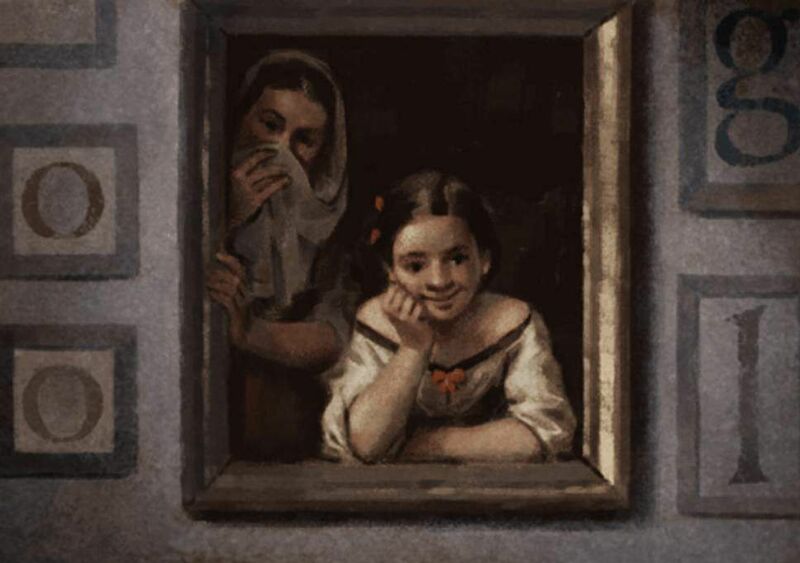 Google on Thursday marked the 400th birth anniversary of Spanish Baroque painter Bartolome Esteban Murillo with a doodle depicting his iconic "Two Women at a Window" painting. A series of major exhibitions celebrating his work is opening at Seville's Museum of Fine Arts in Spain. It will bring home Murillo's work from renowned collections from all over the world as Madrid embarks upon the "Year of Murillo", Google said. Known for his dramatic lighting, radiant colour palette, and versatility, Murillo brought to life a wide range of subjects, from the grandeur of his "Immaculate Conception" to the casual grace of the "Two Women..."
Painted in circa 1655-60, the "Two Women..." illustrates his oeuvre. There are two women in it -- a young, another considerably older. The older one covers her face perhaps in an attempt to hide and yet not able to stay away from catching up on a scene unfolding outside the window. The younger one looks outside with a smile. A wistful expression on her face almost indicates she wishes to be a part in the fun outside. "Two Women..." is currently a part of Washington DC's National Gallery of Art's collection. Born in Seville in late December 1617 (the exact date is unknown), Murillo began learning art under his uncle, Google's blog post said. The J Paul Getty Museum notes that young Murillo would sell his devotional images at local fairs. Later, he served as an apprentice to other artists. His early paintings followed a highly realistic style and encompassed predominantly religious subjects (as was the convention at the time), and he had his first major successes by 1645. The "Immaculate Conception" depicts Virgin Mary free from original sin by virtue of the merits of her son Jesus Christ. The Catholic Church teaches that God acted upon Mary in the first moment of her conception keeping her "immaculate". Apart from painting historical and religious scenes, Murillo also did portraits, and still lifes in oil and fresco during the golden era of Spanish art, the Google blog added. Although his exact birth date is unknown, it is quite certain that he was baptised on New Year's Day 1618 in Seville's Church of St. Mary Magdalen and lived in Seville most of his life. Studying with the accomplished painter Juan del Castillo, a relative on his mother's side of the family, Murillo would eventually surpass his master and lead the "Sevillian School" of the Baroque era. Renowned for his Independent spirit, Murillo cultivated his own style of painting, incorporating Flemish and Venetian influences and evolving throughout his career. During two extended trips to Madrid, he was introduced to Diego Velazquez and exposed to works by Venetian and Flemish masters, which deeply influenced his own work. In turn, Murillo's paintings would go on to influence such future masters as Thomas Gainsborough and Jean-Baptiste Greuze.